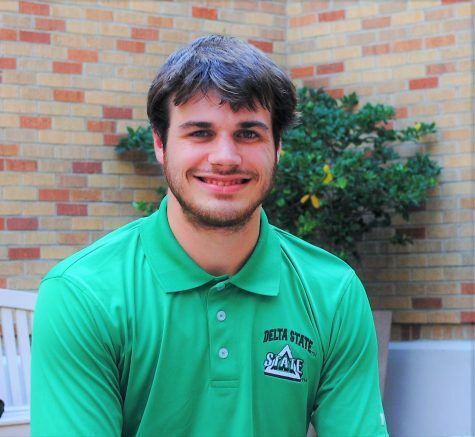 Wyatt is 22 years old and came all the way from Terry, Miss., to pursue a history major at Delta State University. He is a junior and plans to continue his studies in journalism after graduating from DSU. Along with scholarships, DSU being a small-town university influenced him the most when deciding to become true to the Statesman and fight for the Okra. Active in community events and organizations, Wyatt has volunteered for community service hours at the Mississippi Nature Science Museum, The Mississippi Ag Museum, and The Clinton Nature Center. In his spare time, he enjoys singing, reading, playing strategic games, or hanging out with the DSU Weirdo Chess Club.